5 hedonistic things to do in Chiang Mai. Chiang Mai in Thailand is a travel hot spot at the moment and while there has been much written about all of the cultural activities, we thought we might share with you just 5 of the hedonistic things that we enjoy doing in this delightful little city. 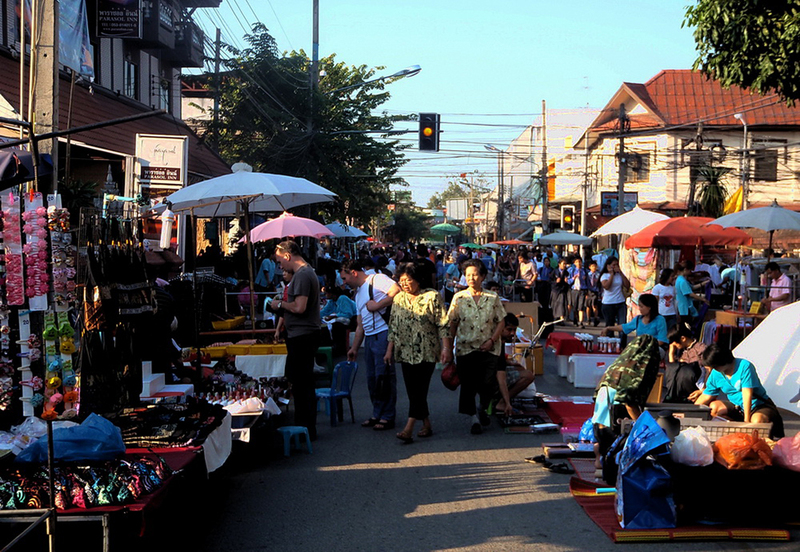 Chiang Mai is called ‘the rose of the north’ and is 700km from the capital city of Bangkok. Despite being the 2nd largest city in Thailand, its population comes in at about 200,000 while Bangkok is 9 million. This makes it a very lovely and comfortable city to go to. We have been there 3 times and we will be going back. It is an easy pace of life, really lovely people, and great food and just has the very relaxed feel about it. These are our hedonistic delights in Chiang Mai. 1 These are our hedonistic delights in Chiang Mai. Gordon loves a massage, and Chiang Mai offers some of the best. He is particularly fond of sitting under the trees and having his feet massaged while watching people wander about. Occasionally he will have a Chang or a Singha beer while he is being pampered. I also like the massages and we will often wander up some dodgy looking stairs to have deep tissue massages. Of course, going to a lux spa is also on the list. The markets of Chiang Mai have some of the most beautiful flowers and at ridiculously cheap prices. 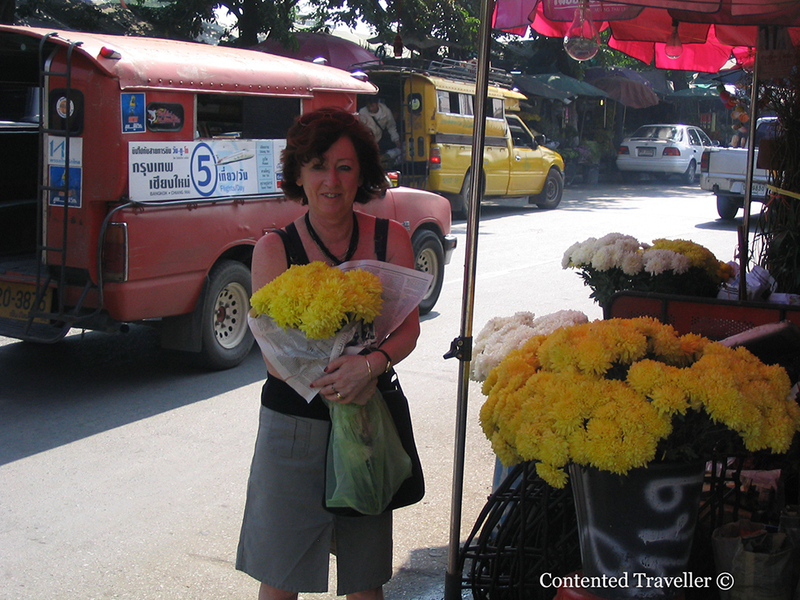 It was birthday when we were there and we bought bunches of the beautiful yellow chrysanthemums. I could have bought any flower imaginable but I love buy cialis legally these flowers particularly. They also have a Flower Festival each year in February. 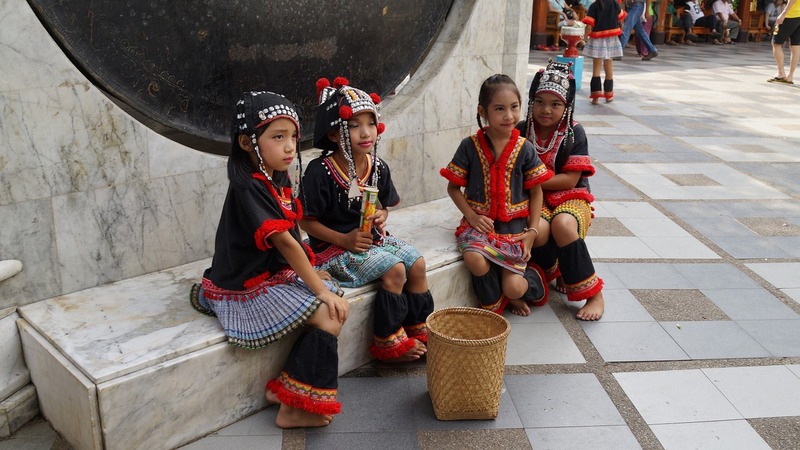 Chiang Mai is home to the lychee festival and the crowning of Miss Lychee Festival queen. This happens in May and there are competitions to eat as many lychees as possible, which we won, and many other activities involving lychees. I love lychees and these are the best by miles that I have ever had. They are actually a super fruit and have great benefits for you. What to eat in Chaing Mai is never going to be an issue, as the food is amazing. The Night Bazaar at Chiang Mai is just total fun. The Kad Luang Markets are the main local markets and where you buy flowers and some of the best street food in Chiang Mai. The Sunday Walking Street Market at Ratchadamnoen Rd is what everyone does. You wander around on a lazy Sunday afternoon and enjoy the arts and crafts on display and just maybe buy some jewellery. Thai food differs from region to region and the food in Chiang Mai is a little hotter, chilli wise than in Bangkok, which suits, be just fine. Street food is brilliant plus some little hole in the wall family run cafes. 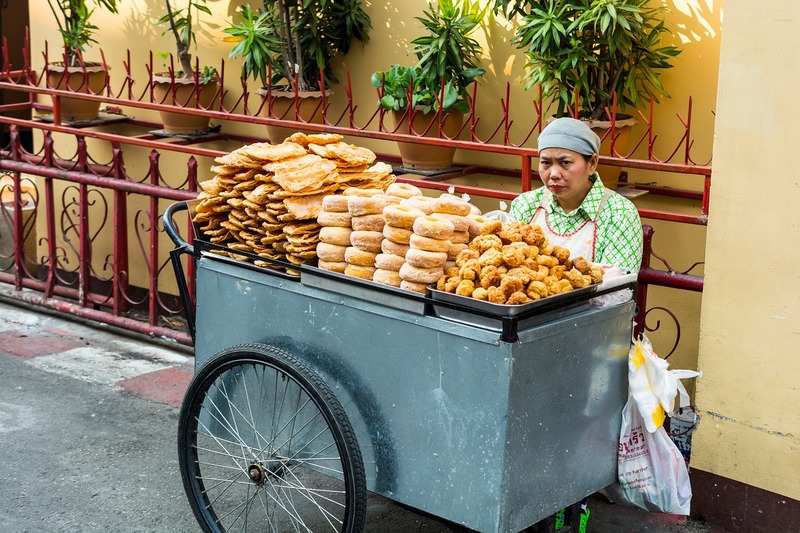 You can barely go wrong in Thailand or in Chiang Mai when it comes to food. Tom Yum Gai remains my firm favourite as well as Chiang Mai mango cheesecake. You will be inspired. Chiang Mai will give you so much inspiration. I live in Chiang Mai and it is always so nice to see a post about this lovely city! I wouldn’t agree with you on the food. Even Thais here say that the food in Chiang Mai is not as spicy as in the other places. I visited last year, I miss the delicious Lychee! We love Chiang Mai. A wall hanging from a shop in the Old City is the focal point of our living room, so we are reminded every day! The only place I didn’t visit in Thailand was Chiangmai and I really want to go back! This article makes me egret not getting there. I miss Chiang Mai so much. I was there for 5 days just last week and I could have easily stayed for months. The night Bazaar was great fun.